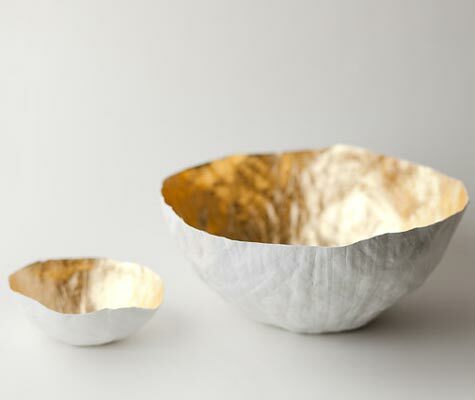 We met Chicago-based artist and designer Susan Dwyer of Up in the Air Somewhere at the Renegade Craft Fair and I keep thinking about her beautiful papier-mâché plates and bowls. 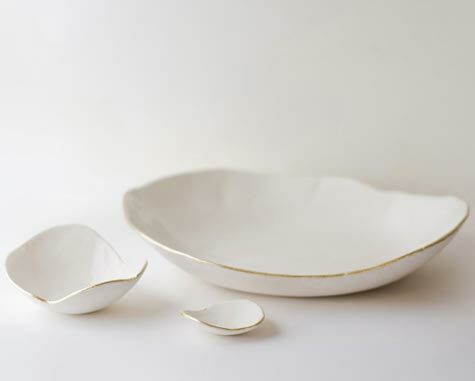 They were really just so delicate and lovely–the gold leaf-lipped plates would be perfect for holding a necklace or set of rings bedside. 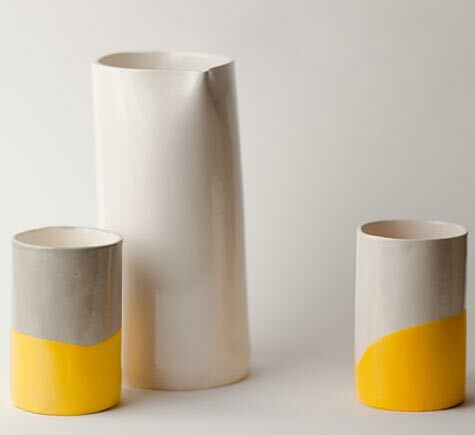 I just took a look around on the website (also very pretty) and see that she has a great collection of yellow-rubber-dipped earthenware cups, as well as a ceramics line inspired by the Chicago skyline. You can see the reference, but it’s not overly literal.